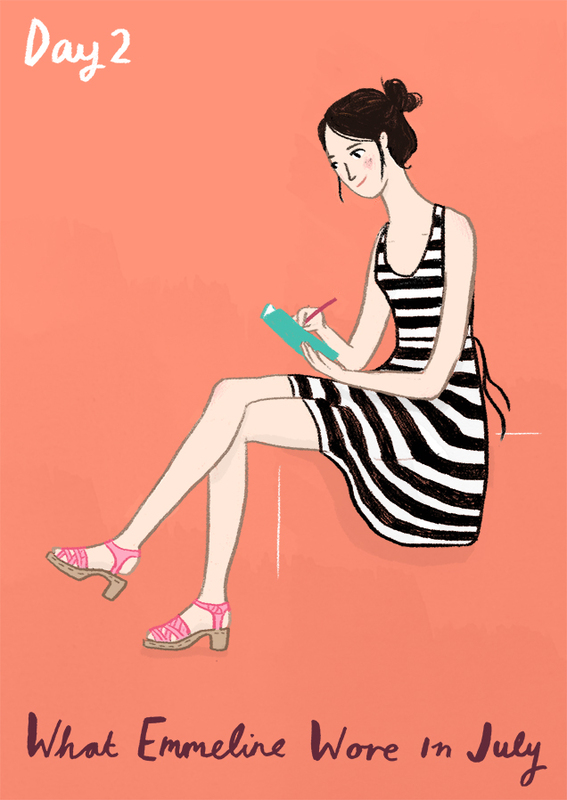 It's still ridiculously warm here today, so I've kept it simple as I take some time out to sketch in the sunshine. Today I'm wearing classic Swedish footwear makers Moheda's pretty Betty clogs. The straps remind me of strips of bubblegum from my childhood! They're super beautiful. Pink and aqua and monochrome stripes forever. Shoes - Betty Clogs in Pale Pink c/o MohedaKeep up to date with the project by following 'What I Wore' on my blog, Bloglovin', Google Friend Connect or following me on Twitter or Facebook. You can also follow Moheda here.